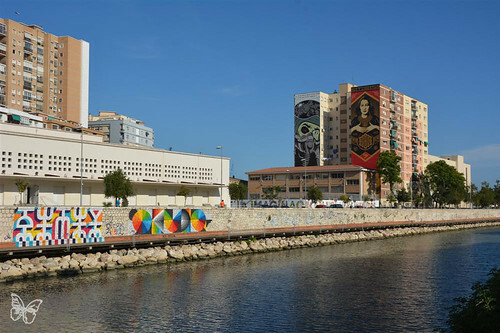 For the second edition of the MAUS festival in Malaga (Malaga Arte Urbane en el Soho) curated by Fer Francés, many international artists have been invited to paint in the Soho district and along the Guadalmedina river. 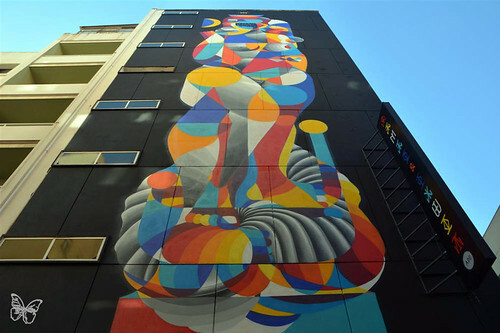 Remed and Okuda painted a 30 meters high Venus on the facade of the Hotel Bahia Malaga, mixing their signature colourful style. 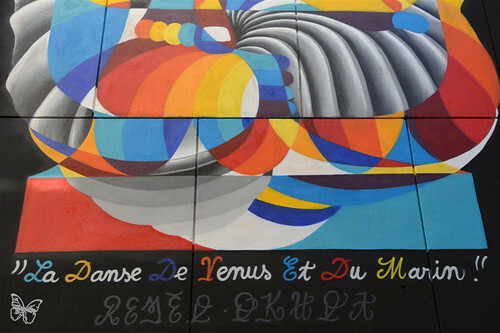 The mural is entitled ‘La Danse de Venus et du Marin’. 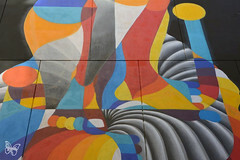 Along the river each of the artists also created further artworks, both typographic as well as figurative. 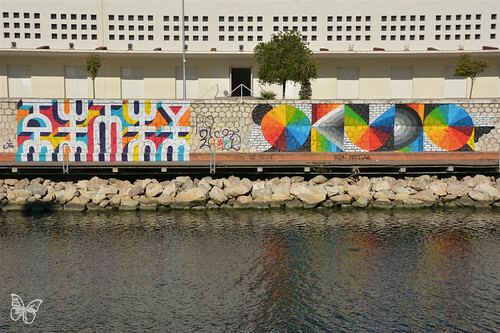 Stay tuned for more pics from the MAUS Festival 2015 in Malaga! 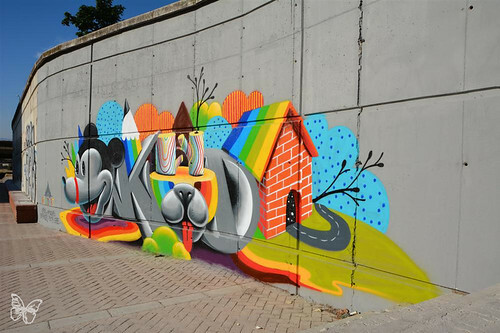 This entry was posted in Festival, Malaga, Street, streets and tagged 2015, Malaga, Maus, Okuda, Remed, Venus. Bookmark the permalink.